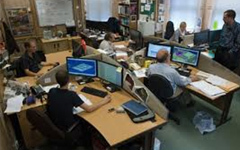 We understand and value technical and cultural issues, and are prepared to work with your marketing team at the highest level of communication to support their goals in developing the guidelines of work across your extended enterprise. We will encounter every business challenge, from suggesting the names to be trademarked, to the usage of color and typography, to creating the visual identity and other visuals. By deploying the process of expanding awareness we create an identity that works. This will identify the brand values you wish to convey and the needs of all your potential audience. Paying a close attention to implementation and usage, we will be providing practical solutions for a variety of usability requirements. Our agency, "web and media", has a long established background in creating, designing, developing and implementing corporate identity and branding projects in Lebanon, Middle East, Europe, North Africa and North America. Conceived in 1996, Beirut, Lebanon with a predefined scope to provide all creative services from simple logo design to web design and development. 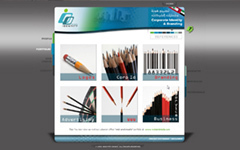 Through the years, we have expanded our services to provide Total Corporate Solutions. 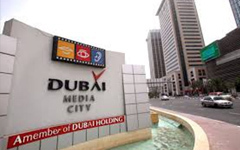 During this continuous progress, "web and media" was raking international awards in web design, logo design, advertising and global corporate identity. Consequently, through the years, "web and media" escalated to become a landmark in visual identity inception. This stepped up the pace of creative output and increased the daily involvement in every business category. 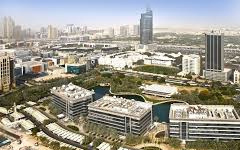 Our portfolio spans to tens of countries world wide as you may witness in our references (Credentials) section. Consequently, our methods at "web and media" combines both worlds, that of the strict, classical and idealist with a pinch young, rebellious and curious attitudes. 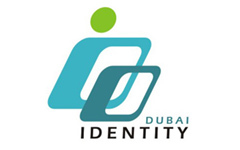 Our offspring agency IDENTITY DUBAI sparkled in UAE in 2005 and still outshine the competition by far. We believed then that a successful brand design helps to promote business strength, from defining of what drives customers to your brand? What turns their attention? Why choose doing business with you? 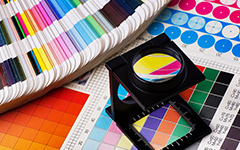 What are your potential customers looking for in their buying decisions? 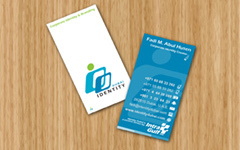 During the real estate rush of Dubai (2005-2008) IDENTITY DUBAI had a dedicated team to support the real estate, property and construction industries in the United Arab Emirates and specifically Dubai with a defined target to maximize marketing opportunities by providing our clients with a kick-starts from the initiation of a new identity or developing an existing brand identity. 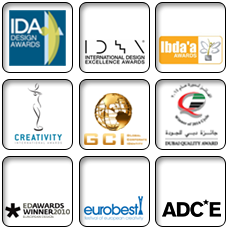 We have received so far 9 Genuine & Original International Awards from USA, Europe & GCC. We are acknowledged of creating over 600 active company logos and possess the largest logo portfolio among all design agencies in the GCC & Mena regions. Our design policy and creative methods in the creation process has long been established, deciplined and governed by strict methodological rules since 1996 and deployed by Fadi M. Abul Husen "web and media" to maintain the highest standards in identity and design process. In most projects we totally conform and abide to a sharp itinerary, and try our best not to deviate from the predefined brief, scope and path. (Although some projects oblige us to go crazy). Our passion for greenery, in addition to favoring peace and tranquility over metropolitan noise and pollution; we pulled to our location, but we are still a phone call away from you.